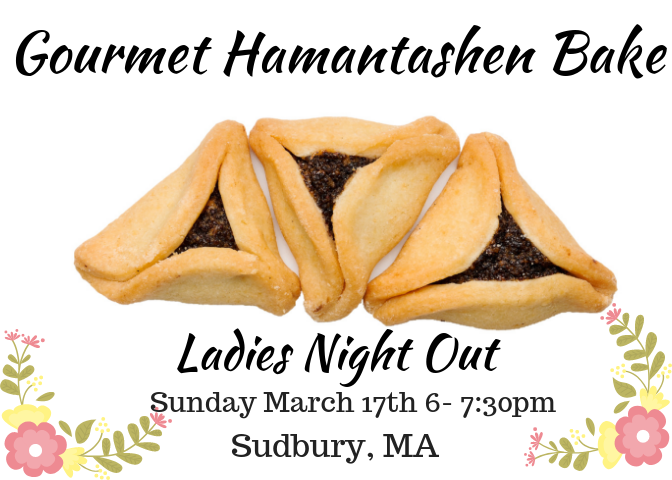 The Chabad Center of Sudbury invites all ladies to join us for a pre-Purim Gourmet Hamantashen Bake that will place on Sunday March 17th. Bake an array of different Hamantashen with multiple exotic and creative fillings and bring some delicious Hamantashen home to your family. Fee: $12 for Paid RSVP's before March 14th / After that or at the door is $18 per adult. On Thursday March 21st we will be hosting a Hawaiian Family Purim Celebration at 5:30pm - 7:30pm you can see more info here. On Wednesday March 20th we will be hosting a Mentalist Purim Show for Adults at 7:15pm and you can see more info here.